Converts multiple MBOX files of Entourage, Thunderbird, Eudora, Apple Mail, Opera, Spicebird, Netscape, SeaMonkey and, etc. The software supports over 15 email clients into Outlook PST, EML, MSG, PDF, HTML, Office 365 and a Live Exchange Server Account. Converts Single or Multiple MBOX files to PST format without having MS Outlook in the system. Exports all emails with attachments of MBOX file to multiple file formats like MSG, EML, EMLX, HTML and PDF format. Imports MBOX mailbox items to Office 365 and Online Exchange Server account. Converts Google Takeout (Gmail) to MBOX file format. Filters emails items such as From, To, Subject, Date, and attachment. It allows a free preview of emails, including Attachments & Metadata properties and performs a complete conversion by maintaining the original data. Converts MBOX file of any size, you have an option to Split (1GB to 25GB) oversized MBOX file into small PST files. It has a "Message Filtering" option to convert MBOX file data between a particular date range. Supports all MBOX files created by Entourage, Thunderbird, Eudora, Apple Mail, Opera, Spicebird, Netscape, SeaMonkey, and other email clients. Compatible with Microsoft Outlook 2019, 2016, 2013, 2010, 2007 and all lower versions. *Demo Version preview complete MBOX items and allows to save only 30 items from each folder. Convert downloaded Google Takeout file with labelled "All mail Including Span and Trash.mbox" file with the software that also creates the folder structure and message labels, as they were in your Gmail Account. MBOX to PST converter is the most effective tool to convert MBOX to Outlook PST, MSG, EML, EMLX, PDF, and HTML file formats. It also supports batch conversion for converting multiple MBOX files at once. Imports MBOX emails into Office 365 and a Live Exchange server account safely. You can opt for MBOX to PST converter as it provides many useful benefits such as it has simple steps, ease in migration, user-friendly, and so on. You can also import specific emails and folders into the cloud. MBOX to PST converter enables the user to split resultant files according to the Size, Date, and Folder. Also, there is an option to create a separate PST for all MBOX files or merge all the files into a single PST for Outlook. The software keeps Meta properties, embedded images, attachments, and HTML formatting in the original format during the conversion process. It keeps signatures and hyperlink intact, along with inline images. The software maintains the folder structure and email properties during the conversion. The software converts the MBOX file data faster such as mail data, folders, subfolders, attachments, address book, tasks, journals, and other components of the mailbox. The Thunderbird converter software is efficient in converting the inaccessible or corrupt MBOX file into PST format. The software ensures 100% conversion of corrupt or damaged data into PST format. The MBOX to PST converter allows the user to take a free preview of MBOX file data, including subfolders, attachments, folders, book, contacts and deleted folder. The user can import selected data instead of the entire file to PST format. The software enables the user to select the folders, which they want to import and finish the task. The software exports Meta properties of the email including To, CC, Bcc, Sender's/Receiver's details, time, subject, and attachment without changing the structure and losing any data. Microsoft Windows: Windows 10, 8.1, 8, 7, Vista, XP. *Free download enables you to check MBOX file contents and save initial 30 messages. To how many email clients can the software convert? The Software supports converting MBOX files into many file formats such as HTML, RTF, EML, MSG, TXT, and PDF files format. What are the steps to convert an MBOX file into PST? Run MBOX to PST Converter software. Then, choose the MBOX emailing client. Now, click on Convert after choosing the 'File'. Then, preview the mailbox element. Save the converted emails in the desired file format. After converting, you can access the files with ease. What features does the software offer in the free demo version? The free demo version can move the entire emails to PST files and the user can take a preview of the emails without To, Cc, Bcc, etc. In order to save the converted data, you need to buy the licensed edition because the free trial is limited to this feature only. How to check the functions of the software? You can check the functions of the software by running the demo version to see if it matches your need. You will learn about the processing and features instilled in the tool. Will I be able to receive the software updates regularly? After buying the software, you will be able to avail the updates of the software on a regular basis. This will let you discover what new feature is introduced in the tool. Can the software move bulk emails to PST? Yes, the MBOX to PST Converter can move bulk emails to PST. Is it possible to migrate converted emails into existing PST file? How much time does the software take to move the MBOX files into PST? The software converts the MBOX files into PST in a short span of time, depending on the file size at one go. Is the software risk-free to use? MBOX to PST Converter is a risk-free application that you can use for migrating the emails. Software engineers have taken all the measures to ensure that the software secure from virus issues and other possible risks. To how many email clients the MBOX file supports? The software is supportive of all the MBOX file supporting emailing applications such as PowerMail, Thunderbird, Apple Mail, Entourage, Postbox, Netscape, PocoMail, Eudora. KDETools OST Converter exports offline OST file items to PST, Office 365, Live Exchange & etc. KDETools PST Converter can convert PST files for Apple Mail, Thunderbird, Office 365, etc. 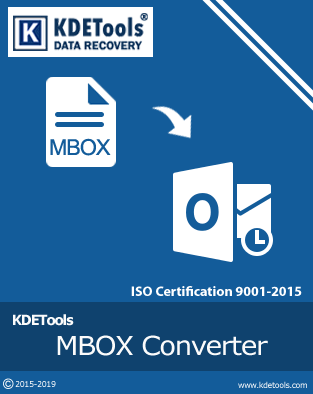 KDETools EML Converter can move convert EML to Outlook, Apple Mail, Office 365, etc.